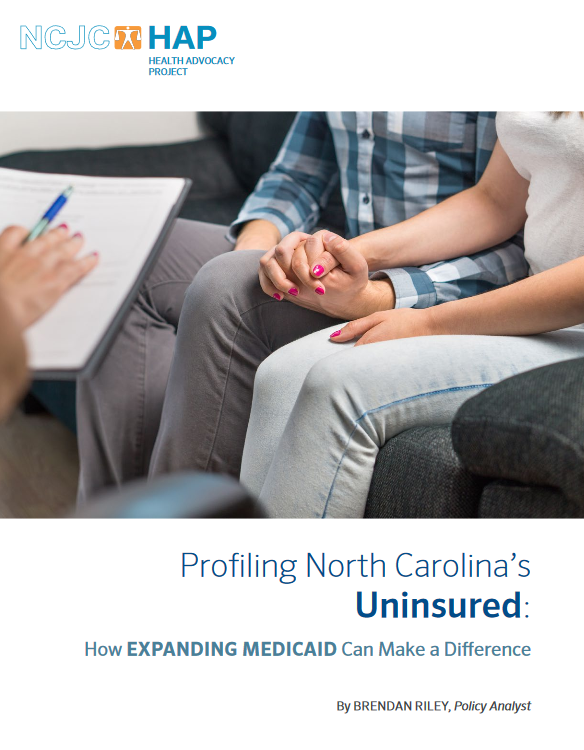 North Carolina has an unprecedented opportunity to provide health care to those currently without insurance through Medicaid expansion. 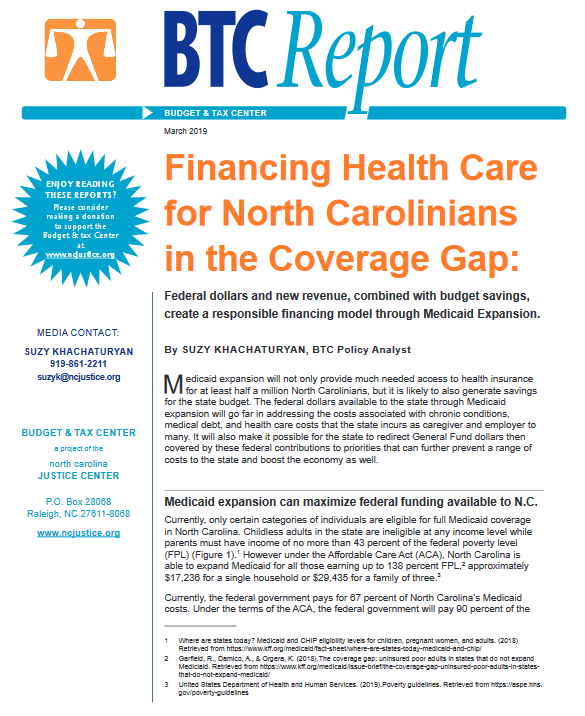 The NC General Assembly has rejected federal dollars to expand Medicaid for the last five years, repeatedly choosing politics over the health and well-being of North Carolinians. Republicans and Democrats came together to finally pass Medicaid expansion last year in Virginia – and now 33 states across the country have closed the coverage gap so that people with low incomes who didn’t have the care they need can now get affordable, quality care. 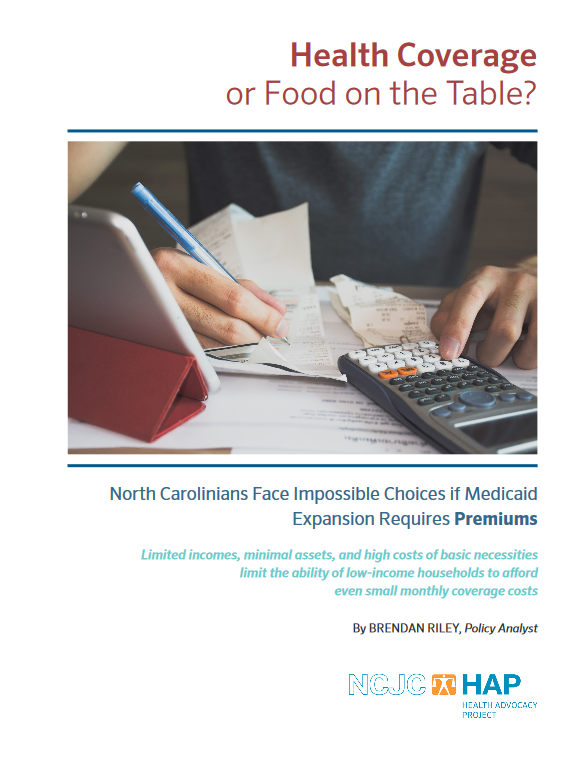 If the NC General Assembly expanded Medicaid, more than 500,000 North Carolinians would become eligible for the coverage they need to get care for chronic conditions, prevent illness and disease progression and live healthy, productive lives. 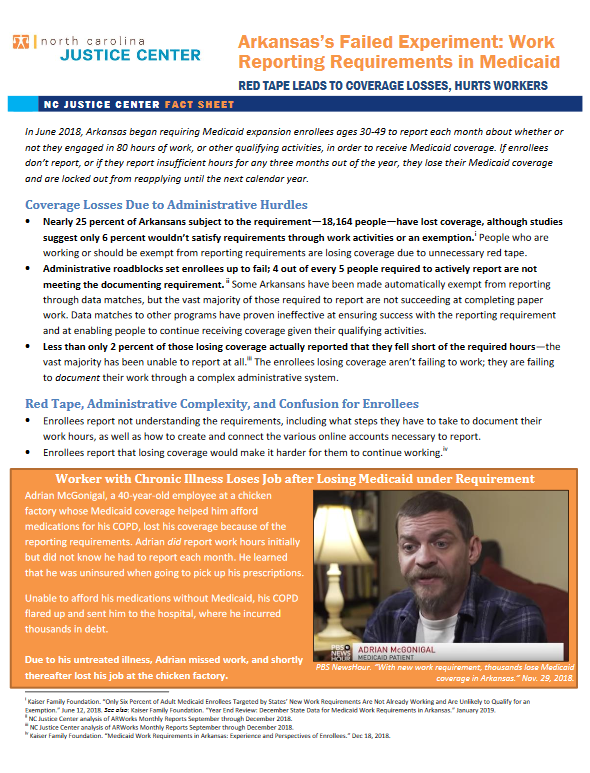 It is important that policymakers not erect costly and unnecessary barriers to accessing Medicaid for those currently in the coverage gap. REPORT: Health Coverage or Food on the Table?